We have located BFT001 for you, which can be found in the next tab. For more detail on the position it fits on your vehicle and any advice notes their may be, and further parts, select your specific vehicle from the search panel to the left. When your vehicle is 3-4 years old you need to monitor the brake fluid quality regularly with a brake fluid tester, because the fluid will absorb water. At least once a year, and if the water content has risen above a certain level, it is time to flush your brake fluid out with new to prevent fluid fade, brake fade and corrosion within your brake system. Failing to flush and replace brake fluid when the time is right can cause complete loss of brakes with even the pedal going to the floor under heavy braking. 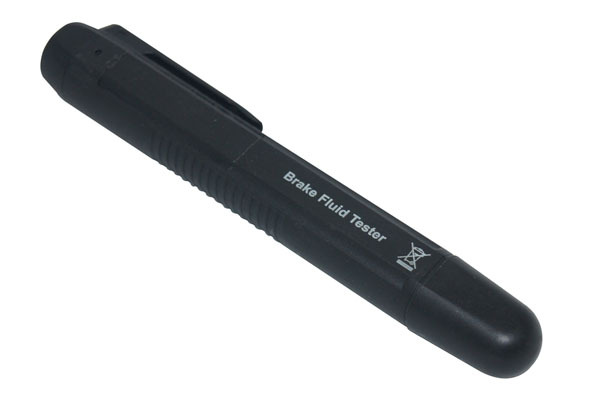 The EBC brake fluid tester will tell you in seconds if it is time to replace your old brake fluid and is simple to use by any home DIY enthusiast.